You already know how easy the Liquid Water Enhancers are to use, now let’s talk about how easily you can incorporate them into your existing supplement regimen. Below we’ve created four stacks – one for each of the Liquid Water Enhancers. Find out which products they pair best with and how the benefits line up with your goal. If your goal is to lose weight, consider stacking these three products together. Garcinia Cambogia is a popular weight loss ingredient traditionally used to make meals more filling. Combining the Garcinia Liquid Water Enhancer with Garcinia + Carnitine makes it easier to get the recommended dose of garcinia throughout the day. Adding CLA + Coconut Oil + Aminos continues to support your efforts, particularly the CLA and coconut oil. Numerous studies show that CLA helps burn stored body fat for fuel, while the MCTs in coconut oil may boost metabolism. Take your Garcinia + Carnitine first thing in the morning, take CLA + Coconut Oil + Aminos before your workout and use the Garcinia Liquid Water Enhancer to flavor your water and help you drink more throughout the day. Everyone has an ideal physique in mind, likely with toned muscles and sculpted abs. Use this stack to help get you closer to that reflection in the mirror. 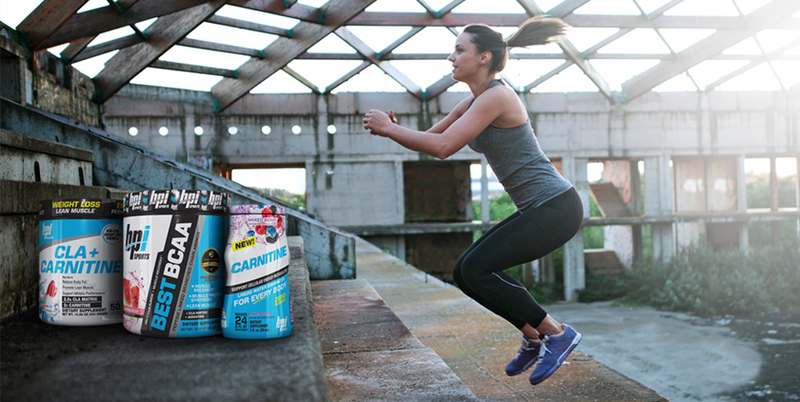 Carnitine works as a fat transporter, taking freed up fat cells to the mitochondria where they are burned for energy. By taking CLA + Carnitine and supplementing throughout the day with the Carnitine Liquid Water Enhancer, it’s easier to make sure you get the correct dose for results. Plus, carnitine, CLA and BCAAs all fight fat and promote lean muscle. Take your CLA + Carnitine first thing in the morning, take Best BCAA™ before your workout and add the Carnitine Liquid Water Enhancer to your water bottle so you can sip on it all day. If you’re trying to put on muscle, amino acids and protein are a no-brainer – muscle is made up of protein, and protein is made up of amino acids. Stacking the Best Aminos™ Liquid Water Enhancer with Best BCAA™ w/ Energy means you can supplement with BCAAs all day, no matter where you are. Best Protein™ provides a convenient way to get your protein macros, while offering an alternative to the chicken, rice and veggie diet, day in and day out. Best BCAA™ w/ Energy is low-stim, so you can use it as a pre-workout or even a midday pick-me-up. Take Best Protein™ after your workout and then round your regimen out with a squirt of Best Aminos™ Liquid Water Enhancer in every glass of water you drink. If you’ve been working out for a while, perhaps you’re focused more on your performance than your appearance. This stack can help you take your workouts to the next level. Let’s start with Best Energy™, a great addition to any non-stim product. It provides just enough caffeine to function as a pre-workout or to get you over that midday slump. That extra boost could also be the push you need to get in a few more reps.
Creatine essentially acts as an energy source for your muscles, so adding it to your workout program can help increase strength and reduce fatigue during intense training. BCAAs are also used as an energy source, preventing your body from breaking down hard-earned muscle instead. As they are metabolized in your skeletal muscle, BCAAs are converted to fuel to potentially improve your performance. Take Best BCAA Shredded™ first thing in the morning, especially if you do fasted cardio. Take one scoop of Best Creatine™ before and after your workout. Drink a bottle of water with a squirt of the Best Energy™ Liquid Water Enhancer with your pre-workout creatine or whenever you need an extra burst of energy.